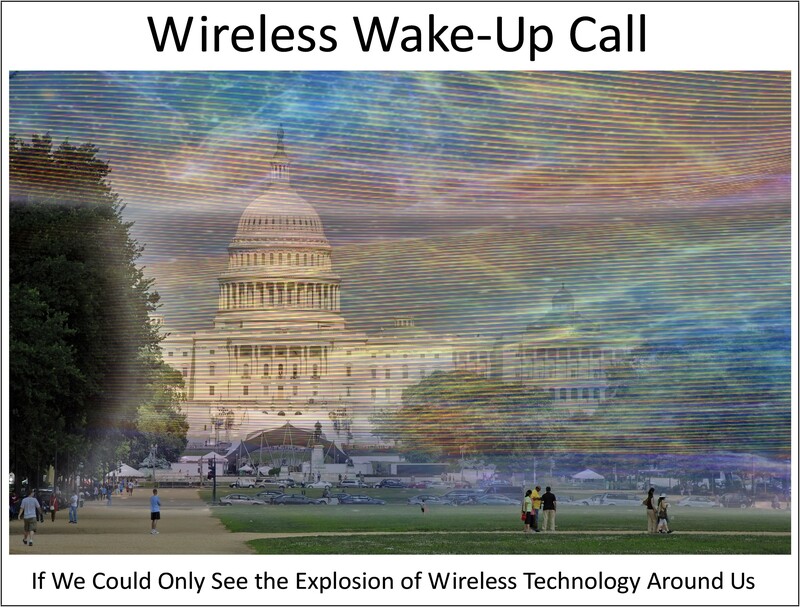 “… powerful 5G (fifth-generation) networks and technology are about to subject everyone, on a continuous basis, to unprecedented forms and amounts of mandatory irradiation—without prior study of the potential health impact or any assurance of safety. Smart meters do not reduce costs, do not result in cheaper power, do not encourage energy efficiency, and do not increase grid stability. 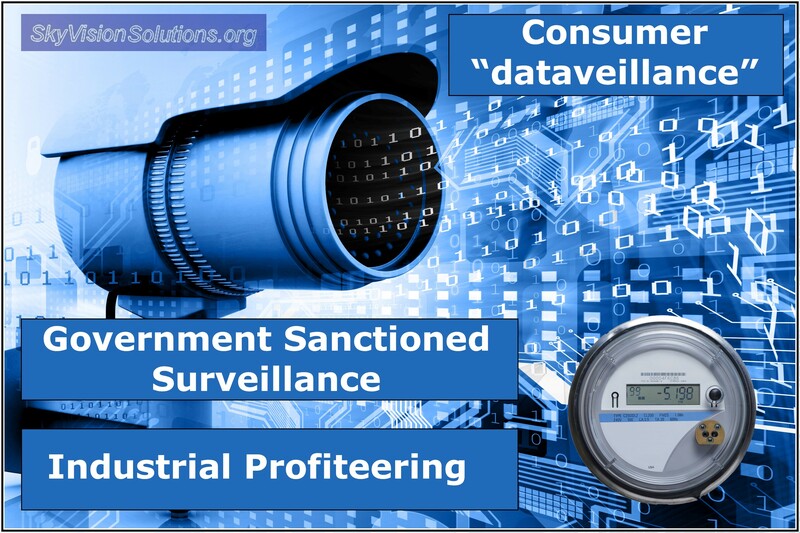 Smart meters do not provide a net public benefit and do not promote the public interest. 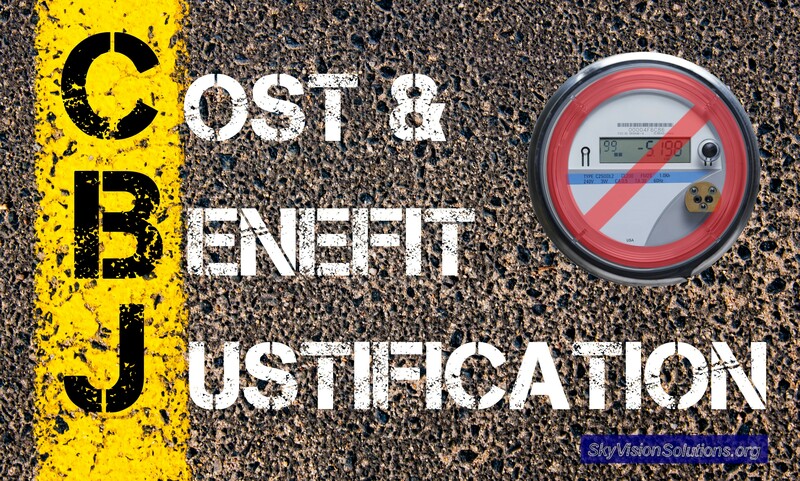 Meter manufacturers and most utility companies attempting to justify large-scale smart meter deployments claim useful life values in the range of 15 to 20 years. 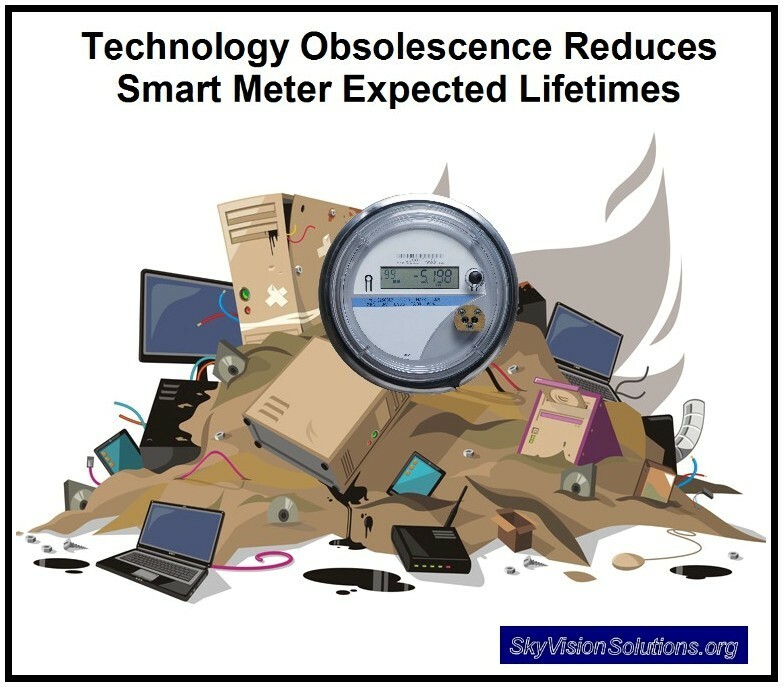 Those individuals and groups who acknowledge that electronic equipment lifetimes are heavily influenced by security issues and technology obsolescence typically forecast much shorter useful lifetimes for smart meters, anywhere from 5 to 15 years with 10 years being a good median value. 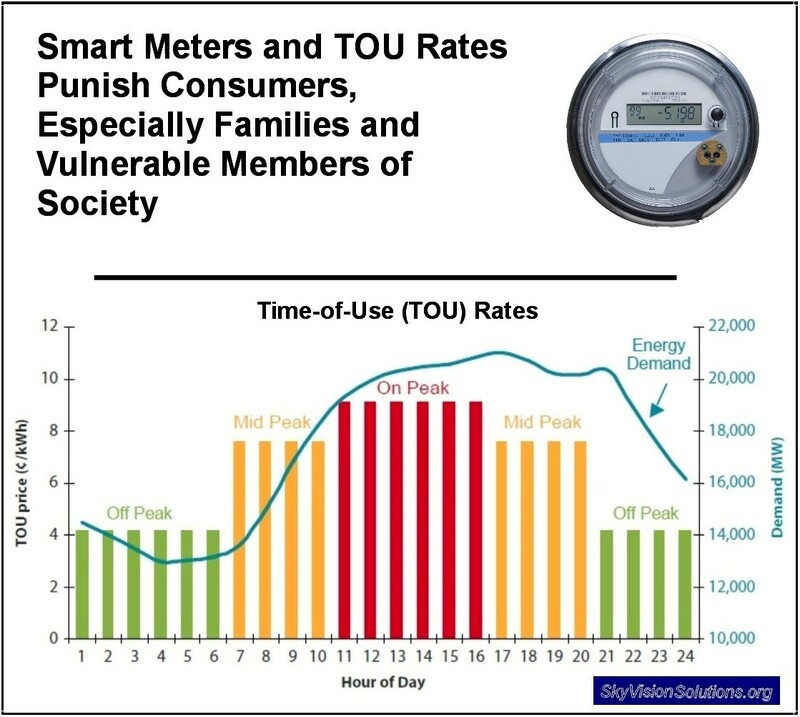 Smart meter useful life values (as used by most utility companies) are based solely on classical reliability analysis that models mechanical failure rates induced by accelerated life testing. These tests are normally conducted by the meter manufacturers themselves. Classical mortality factors and technology obsolescence determine the actual useful life of a smart meter, and they do so simultaneously. Therefore, both should be taken into account. Ignoring technology obsolescence and only considering classical failure rates will result in a gross overstatement of the useful life of a smart meter. On balance, the information presented in this article supports the conclusion that the useful life of a utility smart electric meter should not be considered to exceed 10 years. Utility companies planning to deploy smart meters in the future should adjust their project plans and cost benefit analyses accordingly. Based upon a Federal Appeals Court analysis, all City of Naperville electric customers are being subjected to a governmental search every 15 minutes without a voluntary consent. 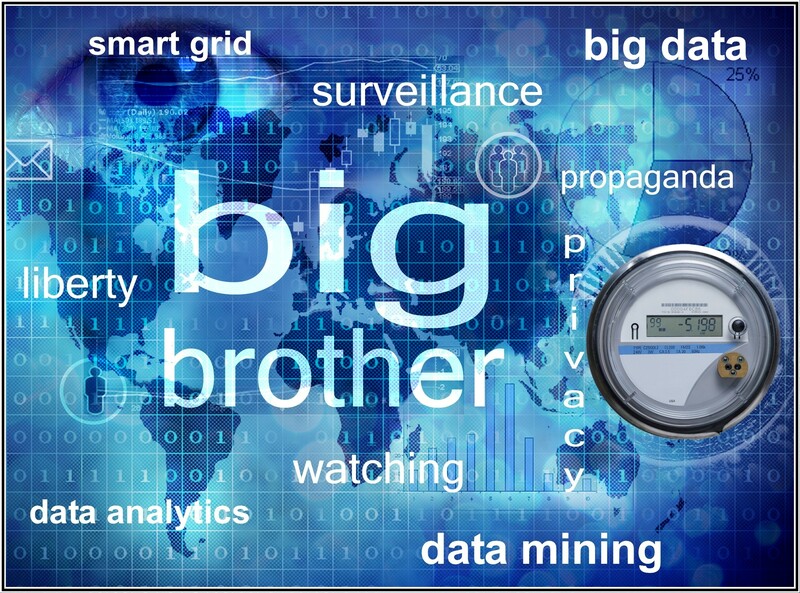 On August 16, 2018, a Federal Appeals Court ruled against the privacy rights of consumers concluding that governmental searches being conducted as related to data collection by smart meters are reasonable and thus permissible. For the people living in Naperville, Illinois, how does it “feel” to be subjected to a governmental search in your home every 15 minutes without your consent? The first future hack scenario deals with smart devices which may be hacked and controlled through ultrasonic “speech” instructions which can unknowingly be given to smart devices in the home (like your front door to unlock) from your computer or phone speakers. The second future hack scenario deals with self-driving cars where machine learning (ML) systems can potentially be easily affected by hackers and other bad actors to cause self-driving cars not to stop for stop signs or lights as an example. Because of the Internet of Things (IoT) and the deployment of devices like utility smart meters we are quickly losing our personal freedom and liberty and further heading toward Orwell’s 1984 . 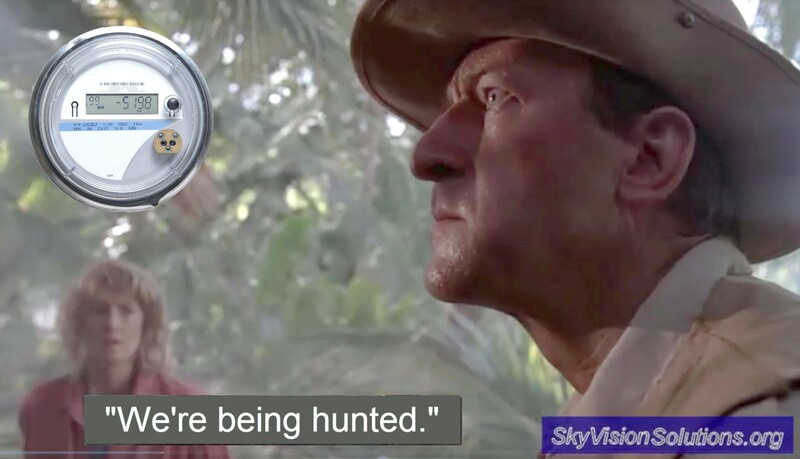 For those aware of what is happening, we realize that “We’re being hunted,” and that, “We feel like prey.” This process must be reversed if we are to regain our rights as a free people. The Internet of Things (IoT) involves an Internet which will evolve from connecting just machines and people towards connecting “smart” objects and things. The electric utility industry is currently developing an IoT-based smart grid (SG). This SG is envisioned as the largest installation of an IoT network for our future world with literally billions of smart objects and things, such as smart meters, smart appliances, and other sensors . There is a “reasonable basis” for concern regarding health risks associated with smart meter wireless emissions. 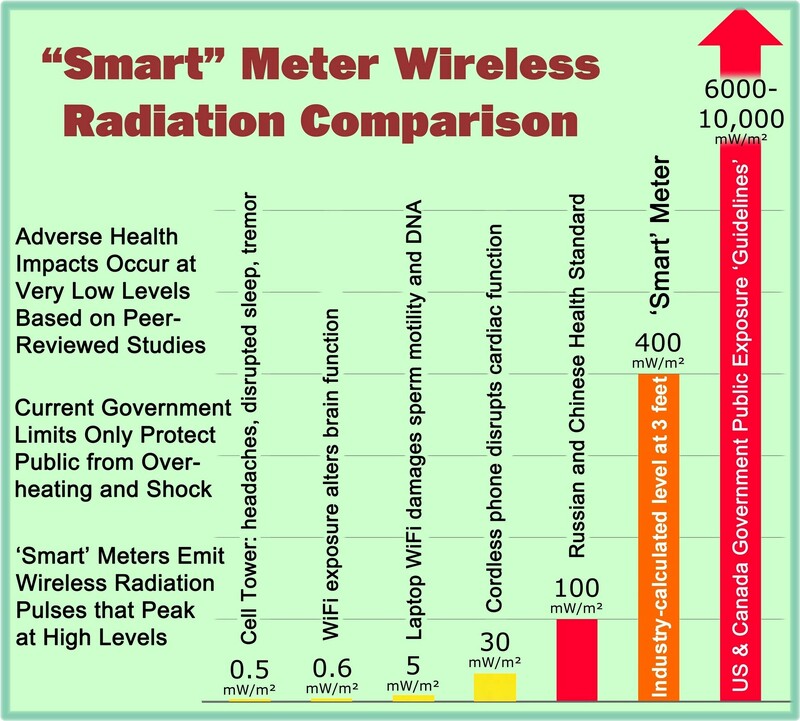 It is “unreasonable” to involuntarily and chronically expose consumers to the electromagnetic energy emitted by smart meters. 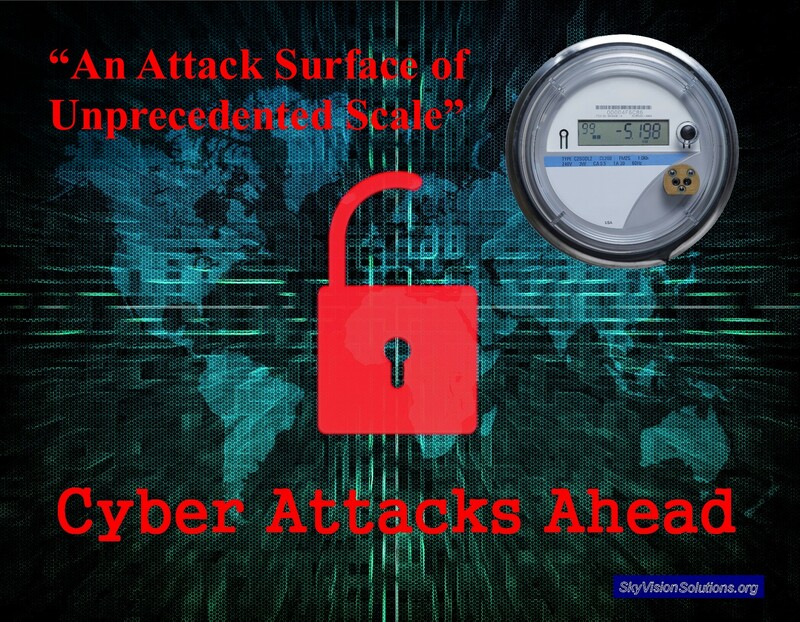 Over the past three years at this website I have detailed a number of concerns related to utility smart meters including financial costs, privacy invasions, cyber threats, and the increased risk of fires as compared with analog meters. Another concern relates to health risks associated with wireless emissions. 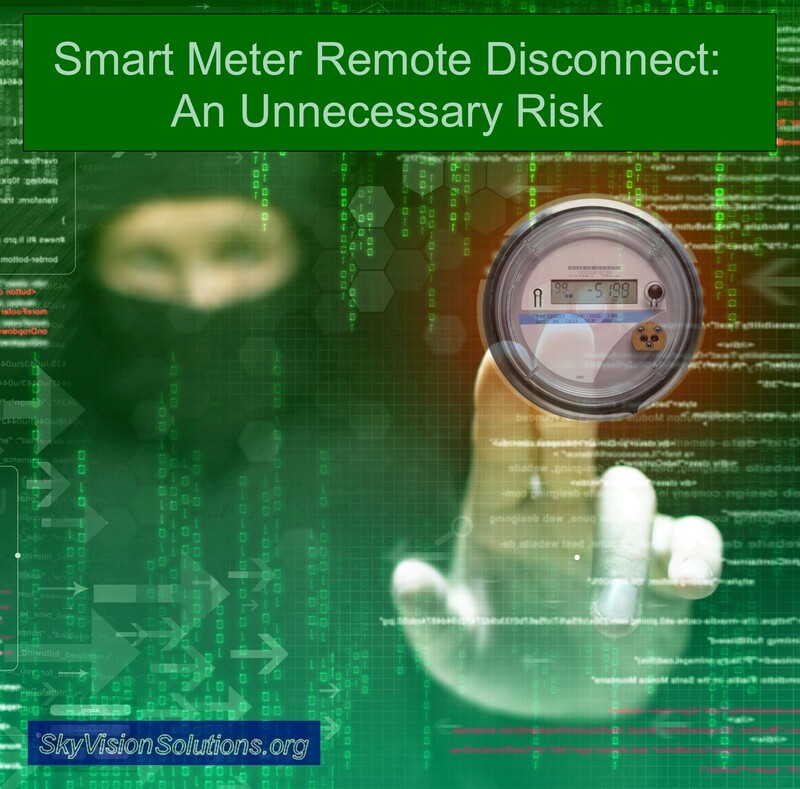 I have previously stated that “the most dangerous ‘feature’ included in the majority of smart meters deployed today is the remote disconnect option.”   At the time, I was primarily referencing the increased risk that the smart meter remote disconnect (RD) poses to the electric grid from a cyber threat perspective. 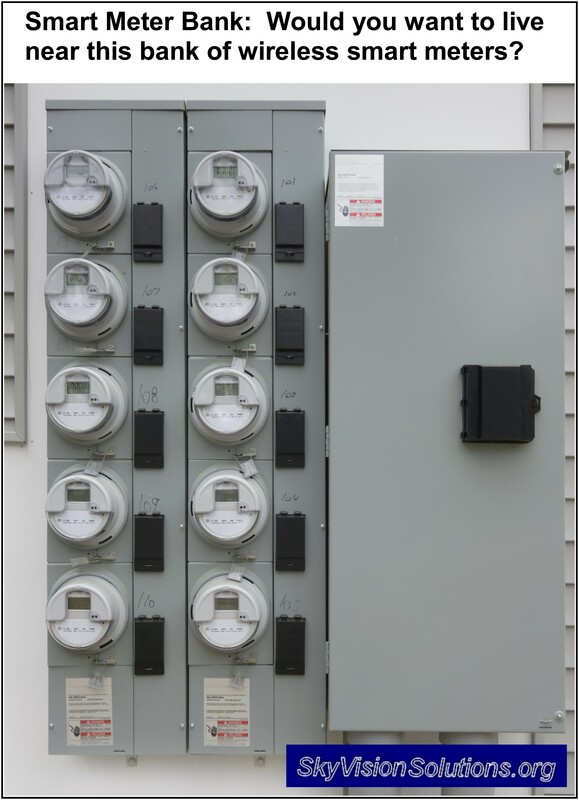 In addition, however, the RD is one of the features of a smart meter (as compared to other types of electric usage meters) that increases the risk of catastrophic meter failures and resulting building fires. 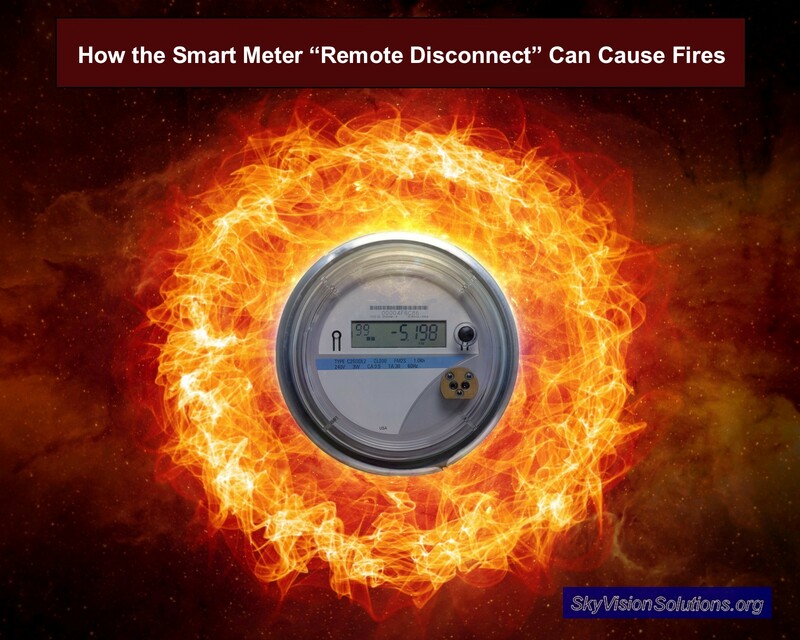 To help illustrate how smart meter RDs can result in fires, this article will highlight the results of forensic investigations by EFI Global, Inc. (EFI) for a failed Sensus brand smart meter reported as involved in a fire in Las Vegas, Nevada in July 2015 . There were actually two separate evaluations of the failed smart meter, first a non-destructive review in July 2015 and a destructive inspection conducted in April 2016. 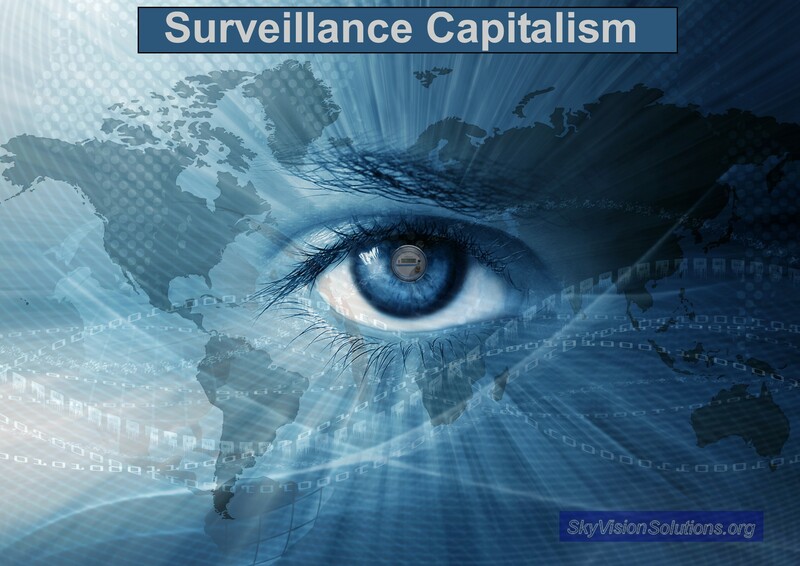 What if the billions and billions of dollars being spent to deploy so-called “smart meters” were found to be justified based upon biased and false assumptions? Should consumers still be required to pay for smart meters that were erroneously promoted as being installed for their benefit, i.e., to help them manage their energy bills? This article will demonstrate that based upon the latest research and under the most optimistic circumstances, consumers within the general population might reduce their energy consumption by only as much as 0.5 to 0.7 % if they have access to enhanced feedback from smart meters. This article highlights the views of Stephen Thomas on the topic of smart meters. Stephen Thomas is an Emeritus Professor for energy policy at the University of Greenwich. Professor Thomas was featured as a guest on BBC Radio’s Money Box program on March 26, 2016 . In addition, he has published a paper entitled, “Not Too Smart an Innovation: Britain’s Plans to Switch Consumers to Smart Electricity and Gas Meters” . 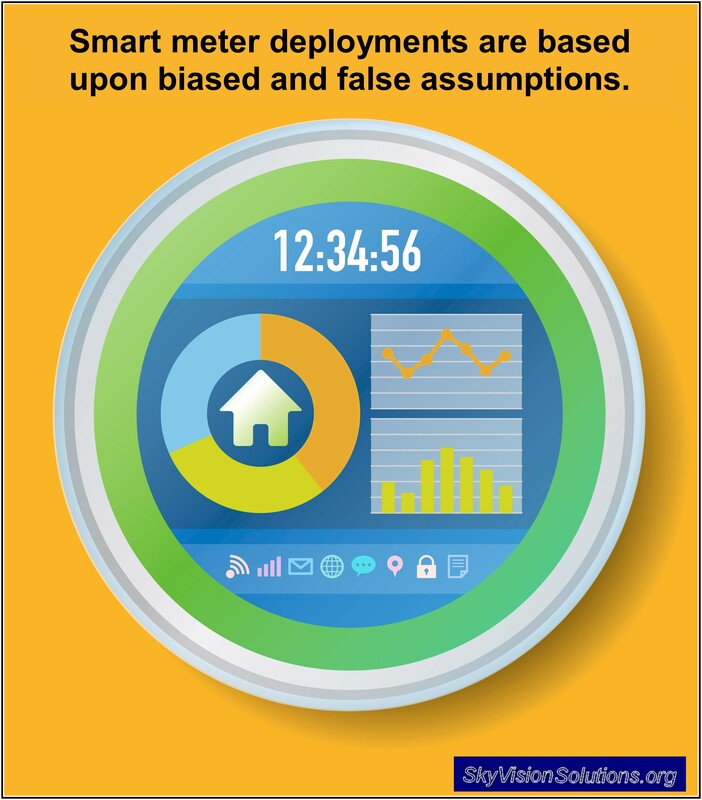 This article provides specific information to counter claims made by smart meter proponents that smart meters provide consumers with financial benefits, i.e., saving energy and reducing their utility bill. In addition, this article presents information to help disentangle how policy makers conflate the topics of grid modernization, smart meter deployments, and sound environmental policy. More recently, the social implications of implementing TOU rates have now been described in a study published in September 2015 regarding “peak demand and the family peak period in Australia” . I have discovered several recently published articles and studies that provide profound insight on how the “smart grid” is envisioned to affect the consumer by those developing it and how substantial social implications of smart grid implementation are not being sufficiently addressed or publicly debated. This article will explain who envisioned the smart grid and why smart meters are being deployed. Empirical evidence will be presented on how consumer interests and rights are being ignored and why smart meter opposition by the public is fully justified and necessary. Finally, this article provides possible solutions to correct some of the injustices being imposed upon the consumer. 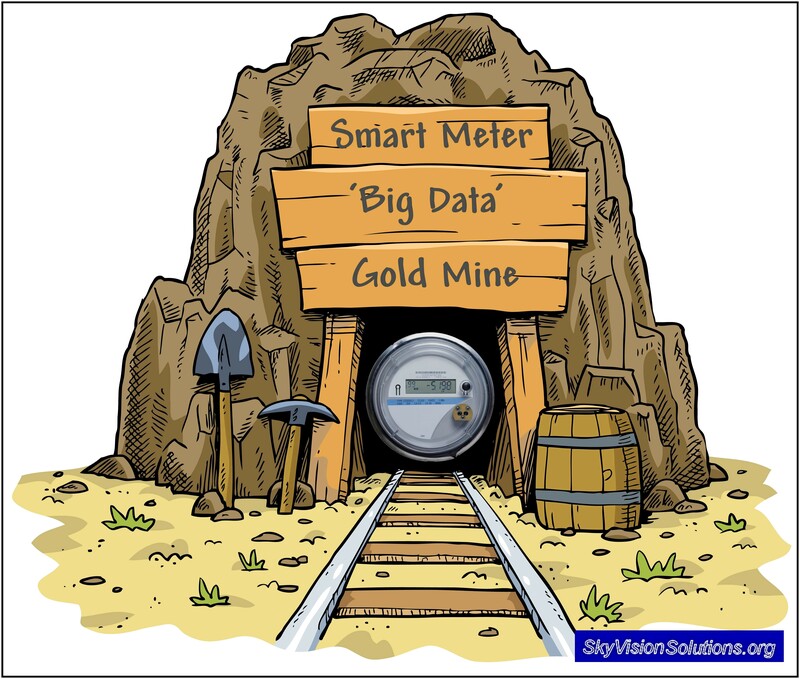 In an article from December 31st, I wrote that ‘Smart’ Meters Generate a ‘Gold Mine of Data’ for Utilities and that they provide a ‘gateway’ to the home. To better understand the full nature of this “data gold mining” and the motives behind it, I will highlight portions of a newly published paper, “The Neoliberal Politics of ‘Smart’: Electricity Consumption, Household Monitoring, and the Enterprise Form.” The authors are from Portland State University. I have been saying for a number of years that utility smart meters invade your privacy and have substantiated this assertion in a number of ways. 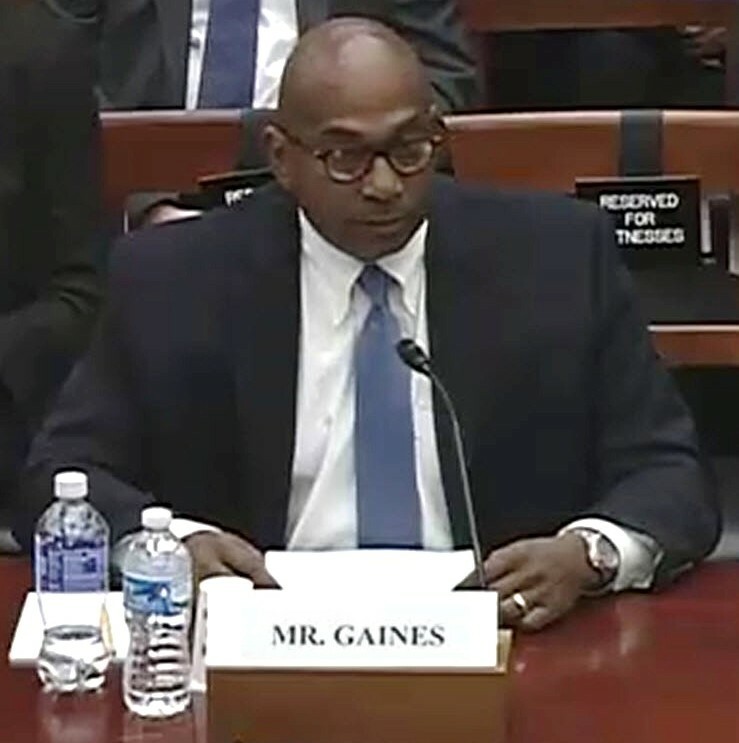 Testimony was provided last week (October 21, 2015) at a Congressional hearing regarding “cybersecurity for power systems.” A surprising admission was provided by one of the expert witnesses that I will discuss here in this article. Mr. Bennett Gaines testified on behalf of FirstEnergy Service Company. He is a Senior Vice President and the Corporate Services and Chief Information Officer. In 2006, the Victorian Government in Australia mandated the rollout of electricity smart meters to all households and small businesses across Victoria under the Advanced Metering Infrastructure (AMI) program. 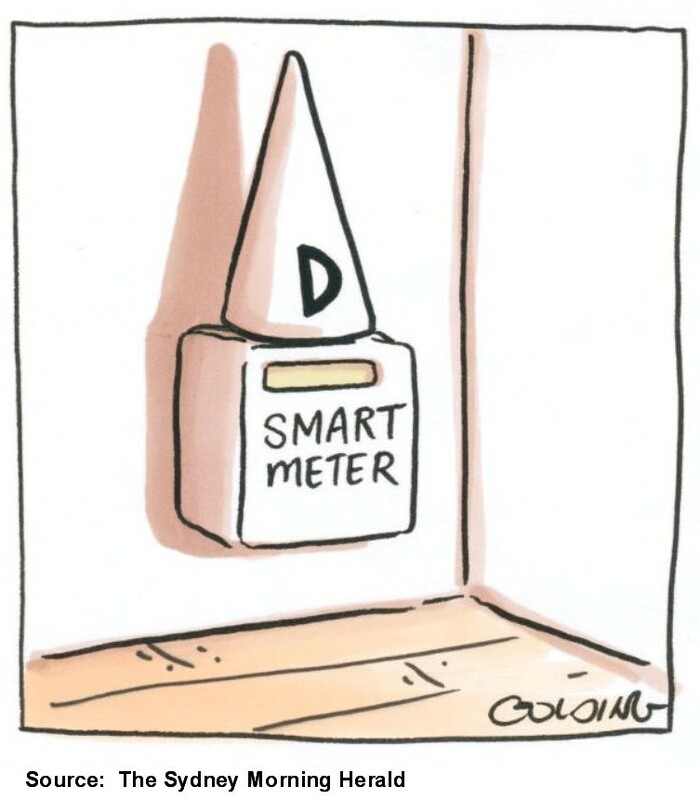 Victorians have paid more than $2 billion for the deployment of the smart meters, but there has been “no overall benefit to consumers,” an auditor-general’s report has found. The smart grid industry has continued to spend billions and billions of dollars to deploy smart meters into the population despite the mounting evidence that they are of no value to consumers and actually introduce significant privacy, safety, and security risks. 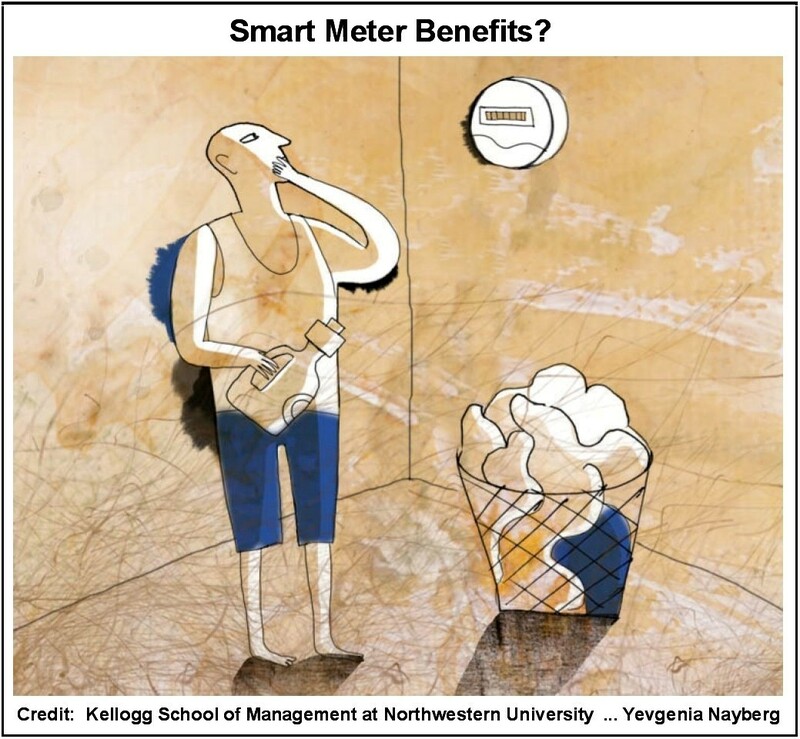 Recent research at the Kellogg School of Management at Northwestern University and the University of Chicago Booth School provides additional confirmation that smart meters are unlikely to benefit either the consumer or the environment. In reviewing an electric utility industry document from 2010, it is quite clear that the industry knew of safety and accuracy issues with smart meters before they were ever manufactured and deployed. 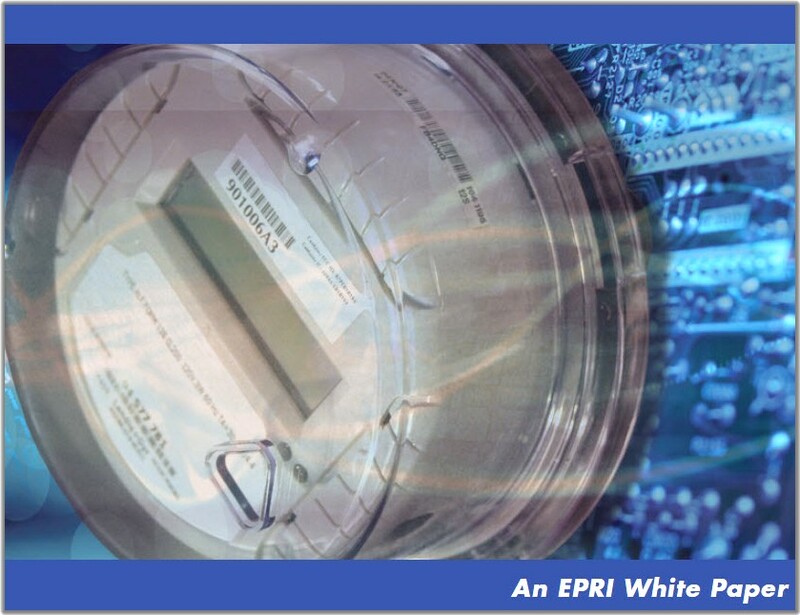 The title of the document is “Accuracy of Digital Electricity Meters,” published by the Electric Power Research Institute (EPRI). 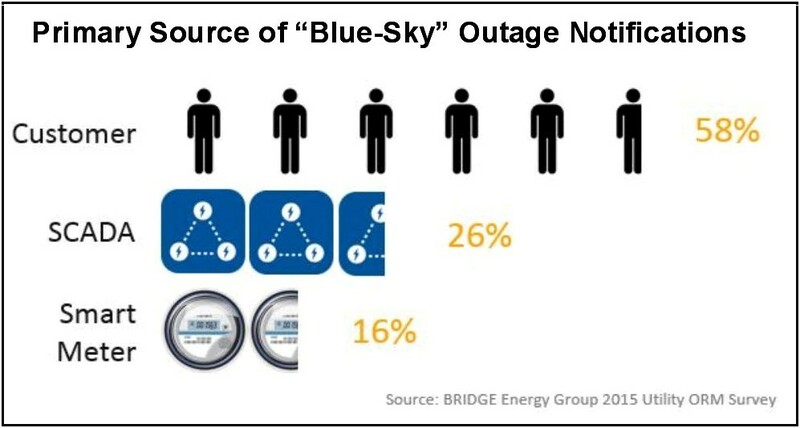 The BRIDGE Energy Group has announced the results of its 2015 utility industry survey on outage and restoration management. Despite the fact that 81% of surveyed utilities claim to have Smart Meters deployed, only 16% of these utilities use their smart meters as the primary source of power failure alerts on blue sky days and 12% during storms. 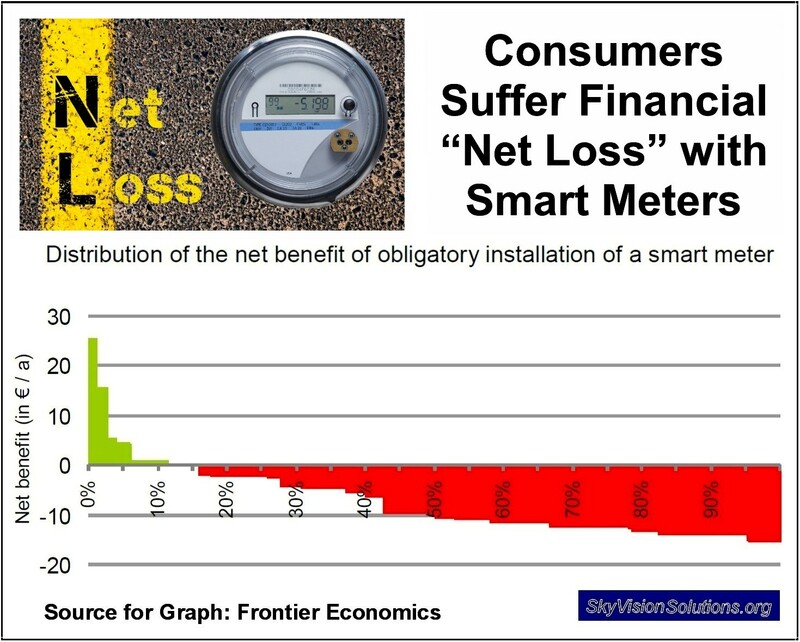 Smart meters have been advertised as a means to “empower” consumers with information that will somehow save customers money despite the fact that the deployment of the meters themselves cost billions and billions of dollars. 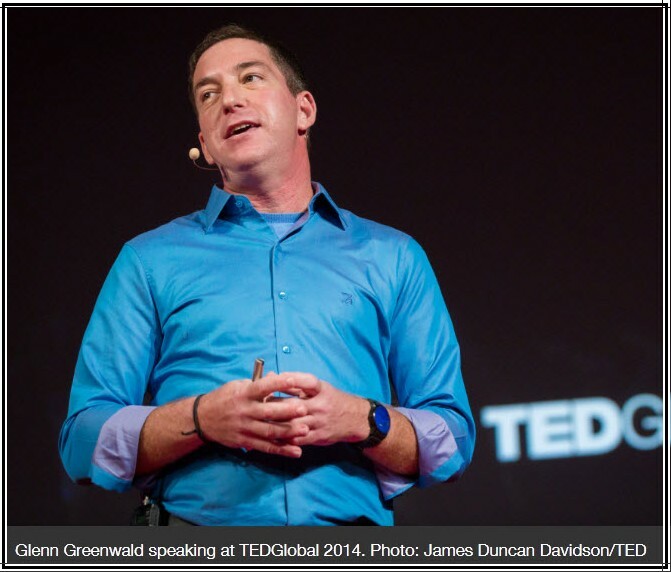 The presentation by Glenn Greenwald is particularly important to remind us on “why privacy matters” in a world threatened by more and more intrusive monitoring of our activities, whether it be from recording of telephone calls, tracking of Internet activity, surveillance drones, or utility smart meters. 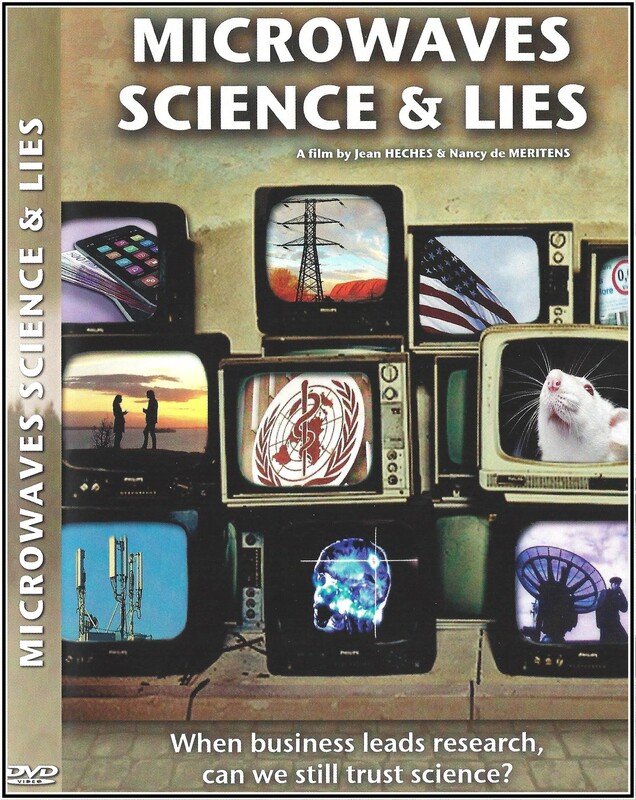 Earlier this year journalist Nancy Meritens and film director Jean Hèches completed their documentary Ondes, Science et Manigances [or Microwaves, Science and Lies], that demonstrates how the telecommunications industry creates doubt about harmful radiofrequency waves through the manipulation of science. Radiofrequency (RF) Fields: Possibly, Probably, or Definitely Carcinogenic — The Evidence Mounts Toward the Latter. Group 1: Carcinogenic to humans. Group 2A: Probably carcinogenic to humans. Group 2B: Possibly carcinogenic to humans. Group 3: Not classifiable as to carcinogenicity in humans. This article will demonstrate in a step by step fashion that evidence is mounting for RF radiation being considered definitely carcinogenic. In the paragraphs that follow, information is presented showing how research data has accumulated over the past couple of years showing a progression from Group 2B to Group 2A, and finally to Group 1. In addition, evidence continues to mount regarding other types of adverse biological effects caused by RF radiation emissions, some of which are summarized in the final section of this article. 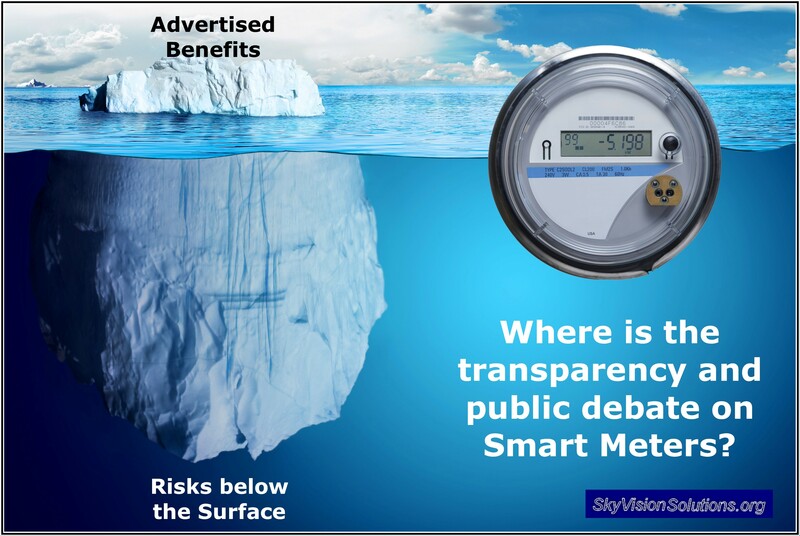 Smart Meter Transmission Frequency Claims – “Misinformation” or “Missing Information”? A few days ago I reported on a ruling in the smart meter-related case of Naperville Smart Meter Awareness (NSMA) v. City of Naperville (Case 1:11-cv-09299) . With little advance notice of what is really happening, Nicor Gas in northern Illinois is quietly attaching wireless transmitters to existing natural gas meters located at customer homes and businesses. The French data protection authority (‘CNIL’) announced on March 27, 2018, that it had issued a formal notice to the nation’s primary electric supplier for failing to obtain consent for the collection of customer usage data through smart meters . The utility company now has a period of three months to correct the failure or face a fine of up to € 3 million .